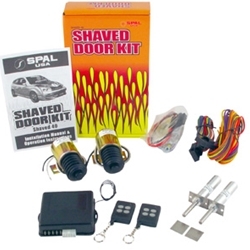 This kit includes everything you need to remotely open your shaved doors. The waterproof 7-channel remotes can handle opening the doors as well as options such as trunk release, power window control, moonroof control, and much more! The included aluminum and stainless steel door poppers give your doors that extra "pop".